Elimination Blackjack is a new blackjack version which combines some elements of poker and is only available online. A player with the last number of chip is eliminated after rounds 8, 16 and 25. You can make a secret bet of a certain amount that is not known to the other players. These blackjack variants pit you against fellow players as you have to compete to stay safe from elimination. There are blackjack elimination tournaments you may participate in if you wish. You start by downloading the gaming software and installing it in your comp. You would have to register and get an account with a login user name and password. You need at least a minimum bet of $500 but can play for up to a maximum bet of $25,000. Te minimum bet for a tournament is $1,000 but you would require as much as $100,000 in tournament chips at the final table. There is an elimination marker which rotates clockwise with every hand. You have 25 seconds to make decision in the elimination blackjack and 10 seconds for elimination hand decisions. Gamblers may be interested in blackjack tips. 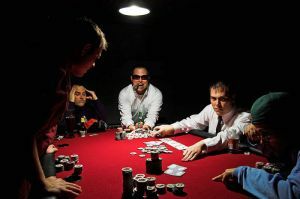 The player is provided with a secret bet for use at his or her discretion. After 30 hands a player with highest number of chips as happens in poker. Elimination blackjack is a tournament game and the objective is to beat fellow players as quite in contrast to other blackjack games where you aim at beating the dealer. You do not loose completely just by not being able to finish number one but you still beat other players who are behind you for which you win some prize. Betting - It is better to bet more aggressively instead of being timid which may see you being eliminated sooner rather than later. Monitor your position - Because in elimination blackjack the player with the lowest number of chips is often eliminated, you need to monitor the bets of players who you bet after, i.e. those to your right and ensure that you stay ahead of them. Calculate the Button - You must consider your position in the tournament and be able to count the next hands before another elimination after one player has busted so you can know your position and prepare sufficiently. If you are next to play bet more aggressively. Count Chips - Since the number of chips determines who is eliminated, pay much attention to provided chips count and act accordingly to avoid the elimination chamber. Be flexible - Elimination Blackjack may require you at times to be very flexible and make such moves as splitting tens or doubling down on hard 19 if this might increase your chips.